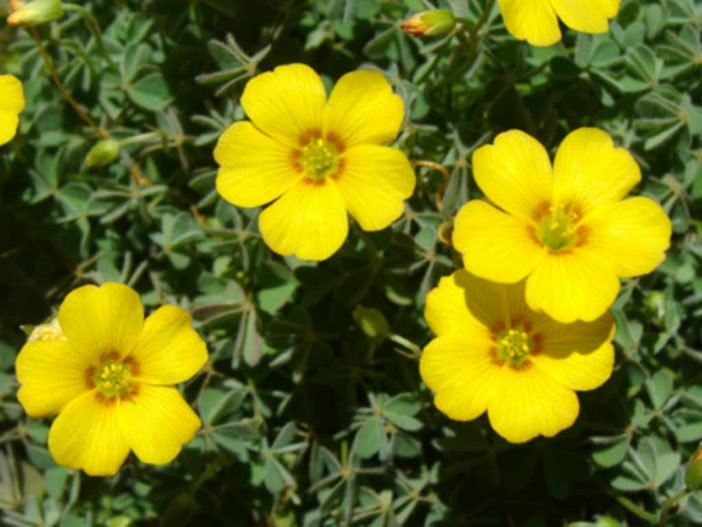 Oxalis albicans is a perennial herb with glaucous and gray-green to yellowish green leaves. 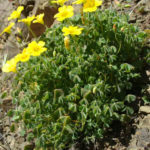 The are distinctly hairy, with 3 leaflets and up to 0.6 inch (1.5 cm) long. 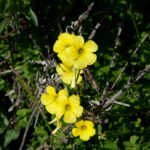 The lemon-yellow petals splay outward around a hub of stamens like stout spokes on a cart wheel. 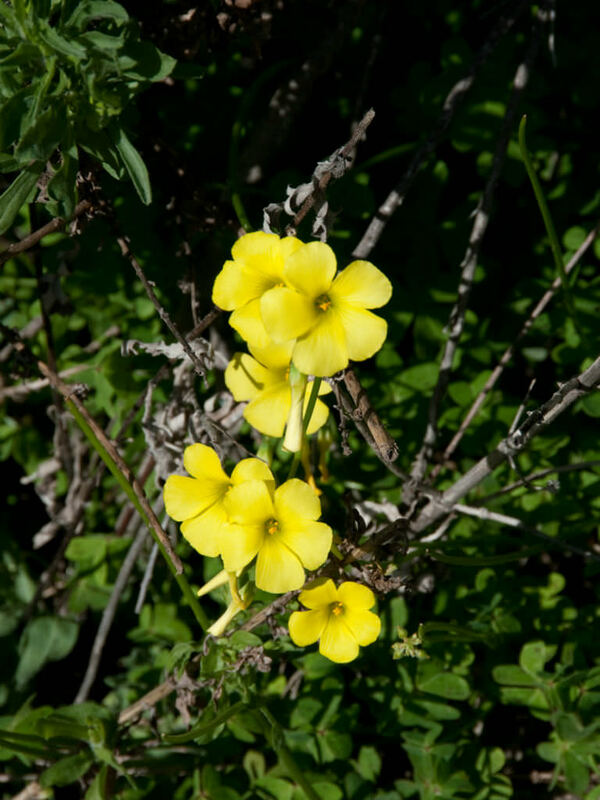 The fruits are angular-cylindrical, up to 0.7 inch (1.7 cm) long, fleshy explosive capsules. 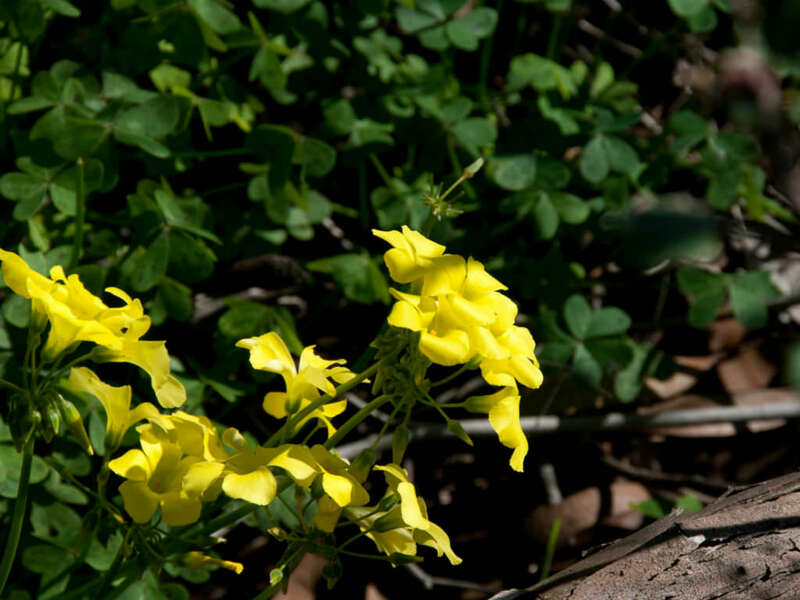 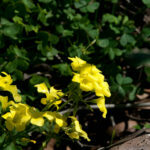 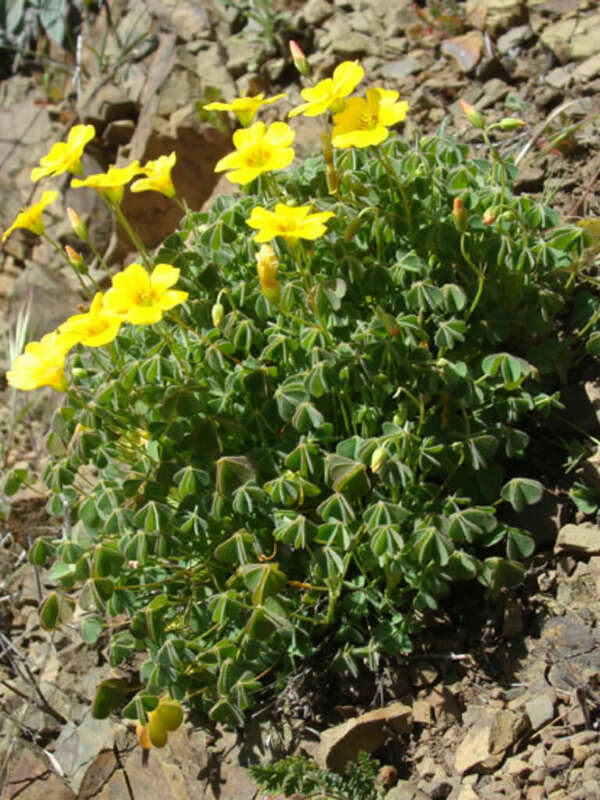 Oxalis albicans is native to Mexico and the southwestern United States.